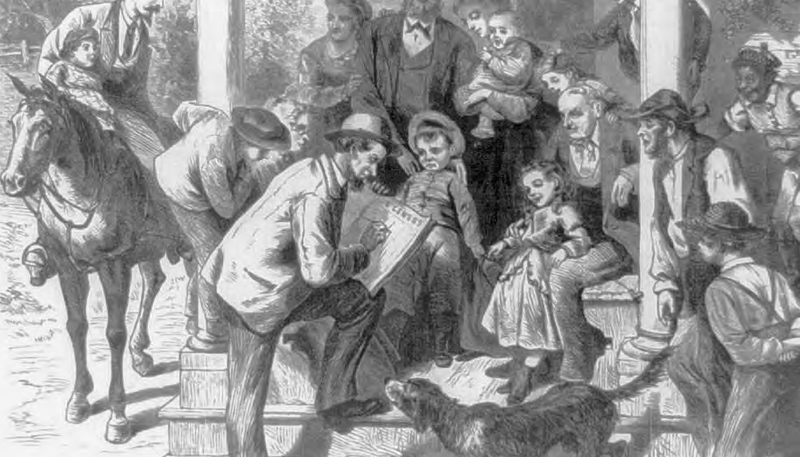 Census day was June 1, 1870 and it took five months to complete. There were 37 US States with 4 news states in 1870 Census, those being West Virginia, Nebraska, Kansas and Nevada. The Census of 1870 also had the US territories: Kansas, Nebraska, New Mexico, Colorado, Idaho, Arizona, Utah, Wyoming, Montana, Washington, Dakota and Indian Territory (later would be Oklahoma). You can search the 1870 census on FamilySearch site for free. Some of the interesting features for the 1870 census was that it listed all persons including former slaves as individuals providing the full name, age, etc. There was information if a person was blind, deaf, dumb, insane, idiotic, pauper or convict. Imagine finding that ‘label’ for an ancestor. 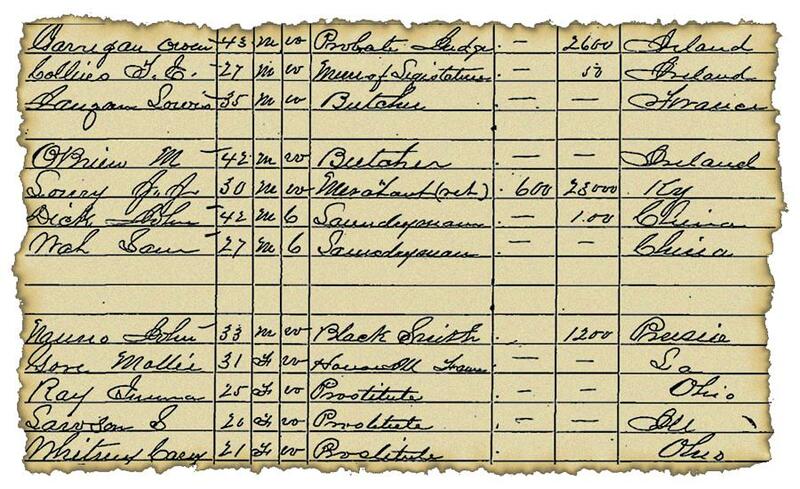 The census gave the value of a person’s home and their personal possessions value. The 1870 census identified survivors of the Civil War (1861-1865). If a person was in the military and is not listed in the census, they may have died in the war. 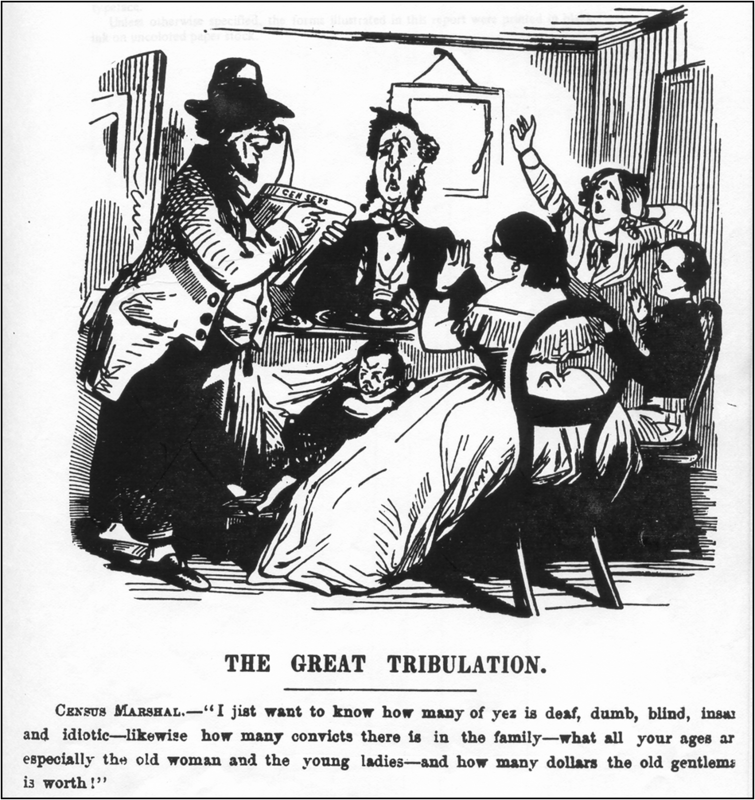 Many individuals of the Southern States, so disheartened from the results of the American Civil War, did not participate in the census count of 1870. The census found changes in the American people. New York City in 1870 had the most foreign-born individuals, with 419,094 foreigners, who comprised 44.5% of the city’s total population. The total NYC population in 1870 was about 942,000. This was found in other key ports of entry such as Philadelphia and San Francisco with new immigrants arriving over the last ten years. Immigrants were also marked on the census as White (W), Black (B), Chinese (C), Indian (I), Mulatto (M). Other details would be where a person was born, especially if foreign born. For those from Germany it could be more specific such as: Baden, Prussia, Bavaria, Wurttemberg, Hessen-Darmstadt. There were bitter complaints coming from New York City and Philadelphia claiming up to a third of the population was not counted, causing President U. S. Grant to make the rare move to order a recount in those areas. It was the 2nd enumeration of New York City and occurred in January 1871. Besides NYC and Philadelphia also had a recount, including counties in Oregon. Even with the recount, many people (maybe 3 million) were not counted because that recount was done during a cold weather month. Another problem with the NYC count, enumerators (census takers) failed to record addresses in New York City during the June 1870 count. Most of the US population centered in the northeast section of the country and around the Great Lakes. Many states such as Florida, California, Oregon, Nevada, Washington and the Great Plains and the Rocky Mountains had very few people in 1870. Since in 1870 families tended to remain in the same hometown, go over all the pages of a town’s census to see if there are other relatives you recognize. Also, individuals who died or children who were born after June 1, 1870, were not included on the census. Reminder that many women were widows due to the Civil War, so they could be living with in-laws, parents or remarried. However, if you do not find relatives in their earlier hometown, check neighboring states or the territories, they could have moved after the Civil War. The total Census figures for 1870 were 38,558,449; but again many areas where there was an under-count of the population. So study and examine the Family Search 1870 census carefully for your ancestors. 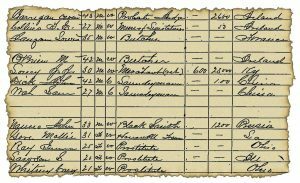 By the way, the 1870 census takers were paid 2-cents for each person’s name written and the information gathered and they got 10 cents a mile for their travel. Photos: 1870 Census taker going door to door; and Diamond City, Montana, in 1870, a “house of ill fame” is tucked in with a blacksmith, the postmaster, miners, a territorial legislator, a probate judge and Chinese laundrymen.